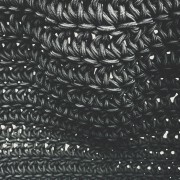 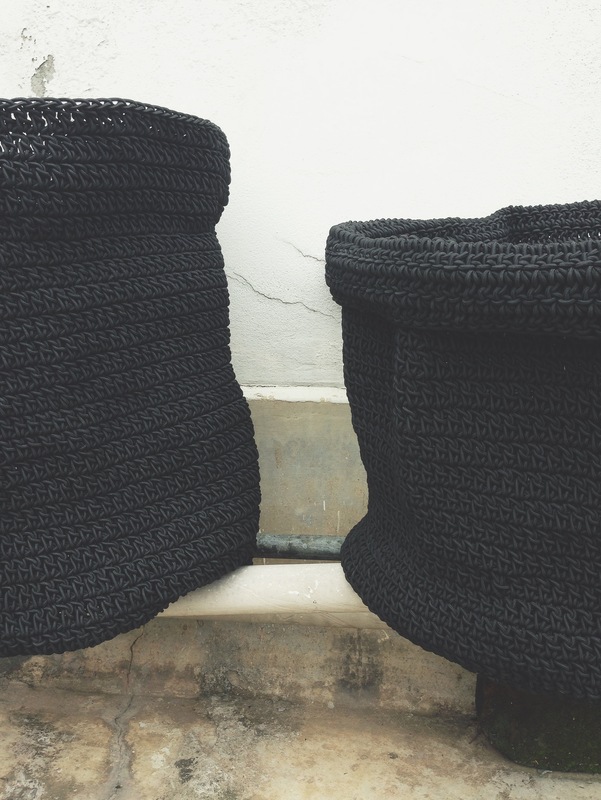 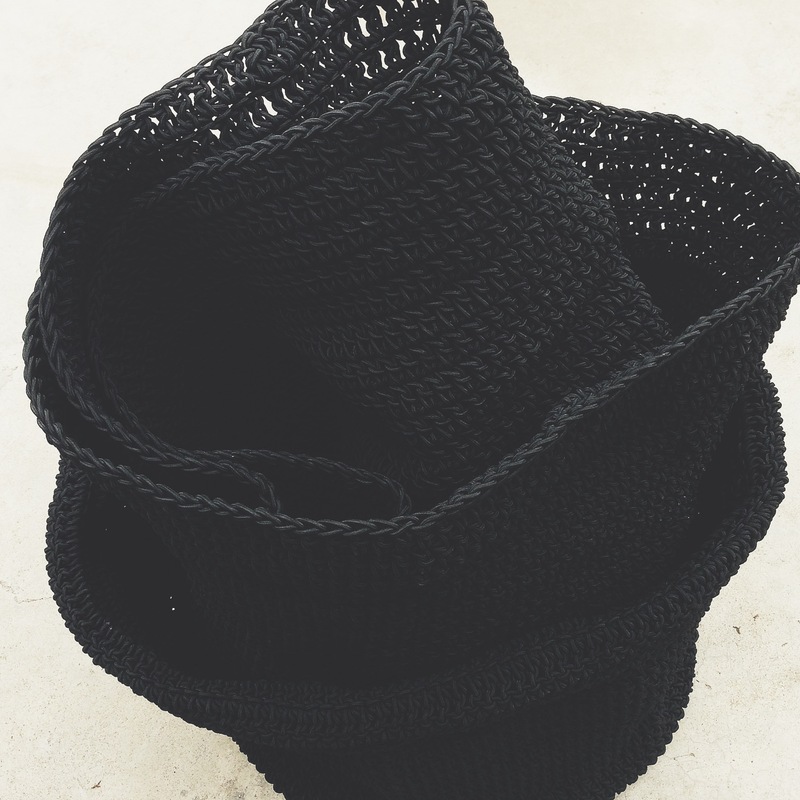 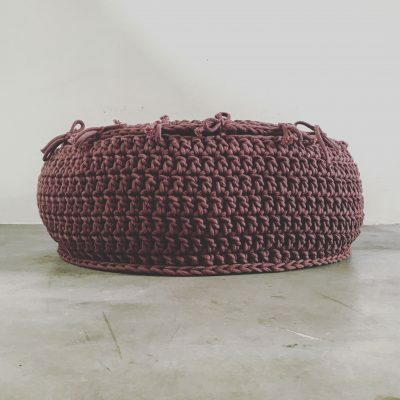 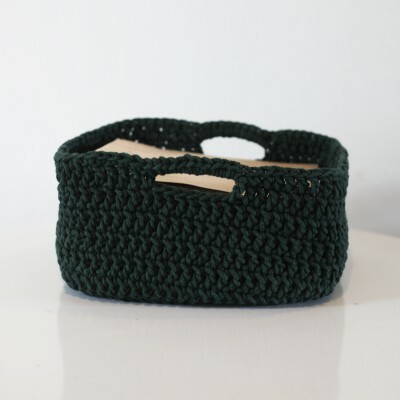 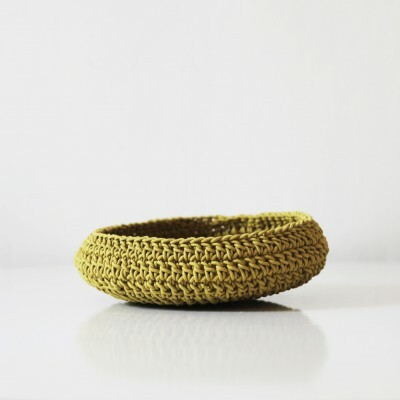 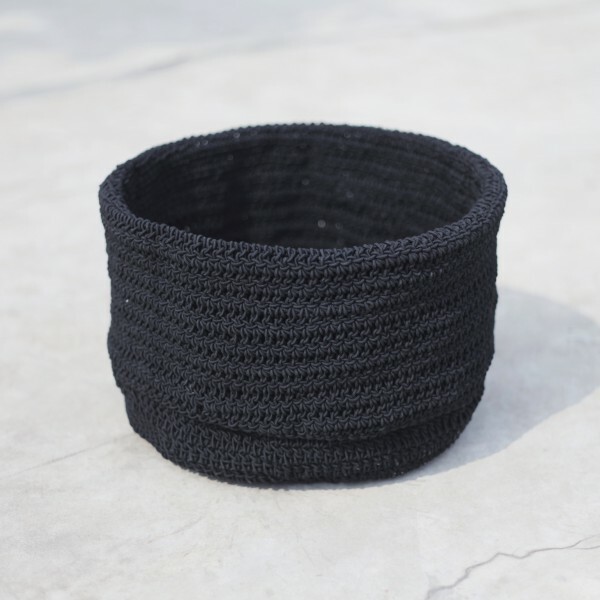 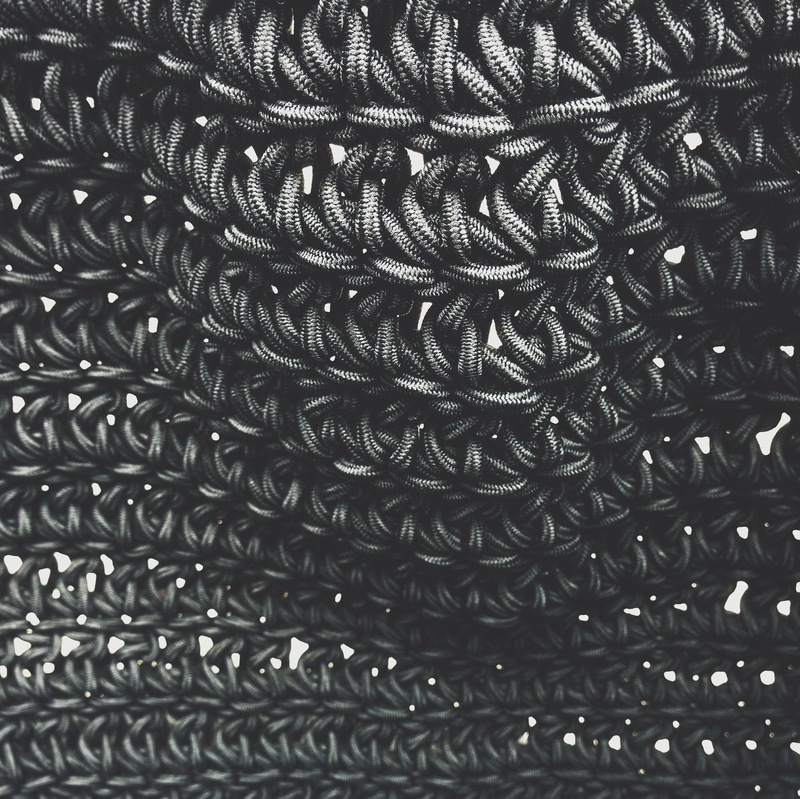 Hand-knit Elastic Basket by Sisko. Can be stretched to take different shapes and forms. 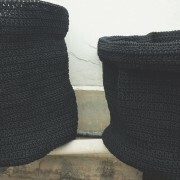 Works well in dry as well as wet areas, such as bathrooms.